Here's a look at the skin and joint benefits of collagen peptides. 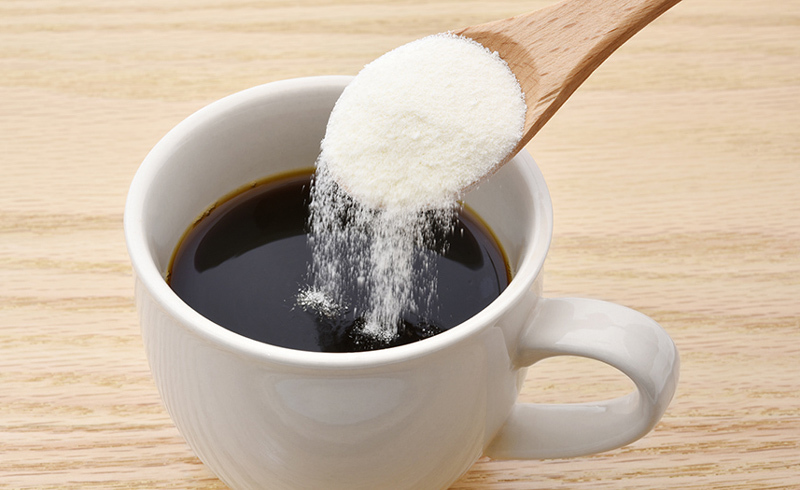 It might sound crazy, but adding collagen powder—which is collagen peptides made from the connective tissues of cows and fish—to your morning coffee, smoothies, and oatmeal is the supertrendy thing to do in the wellness world. So what gives? 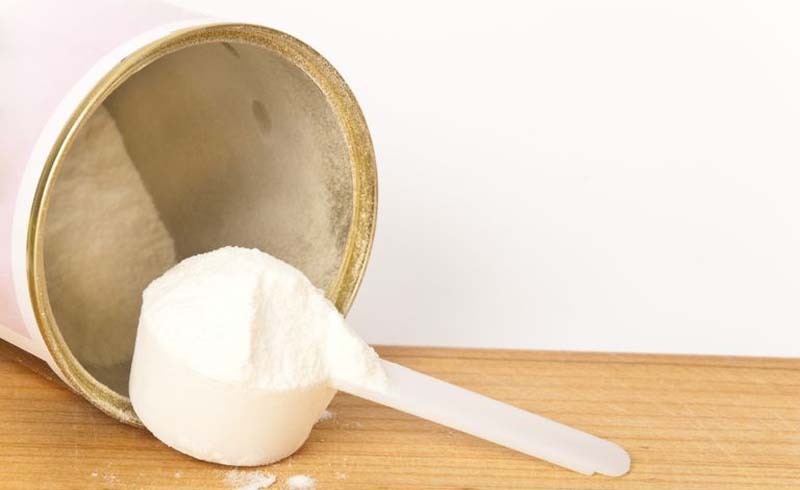 Proponents of collagen powder say that it not only delivers a wallop of protein, but it also offers other benefits like soothing achy joints, improving gut health, and reducing the appearance of wrinkles. As someone paranoid about premature aging (was that wrinkle there last week? ), plagued by sporadic bouts of gastrointestinal distress, and with a set of knees that snap, crackle, and pop like an old person's, I needed to find out if this stuff was legit. First step: Do the research. Second step: Give it a whirl. Vegans, take note: The collagen you buy in powder form comes from animals—the bones or skins of cows, or from fish scales. The science is promising. In one 2017 study in The American Journal of Clinical Nutrition, vitamin C-enriched gelatin supplements can help improve collagen synthesis, which plays a role in injury prevention. Moreover, chicken collagen has been shown to help provide relief for rheumatoid arthritis patients. When it comes to the skin benefits of collagen supplements, a 2017 study from Nutrients suggests that collagen peptides from bovine bone could help increase skin collagen content. Another 2015 study from the Journal of Medical Nutrition & Nutraceuticals shows that nutritional supplements with hydrolyzed collagen and other skin-loving ingredients can lead to better skin elasticity and hydration and wrinkle prevention. And although there aren't studies on collagen's effect on gut health yet, there's probably something to it, says Laura Schoenfeld, RD, holistic nutritionist at Ancestralize Me. She notes that collagen's amino acids may also help prevent intestinal permeability (i.e., leaky gut)—a condition linked to a host of and autoimmune diseases like multiple sclerosis and celiac disease. For the past year and a half, I've suffered from a progressively achy and creaky right knee for no apparent reason—I can actually hear a disturbingly loud crunching every time I walk up the stairs. During week 3 of my experiment, however, I noticed that the crunching had become far subtler and my overall level of soreness had decreased. For that reason alone, I will take this stuff for life. Not to overshare, but I probably end up running to the bathroom more than the average person (hey, if you'd been on antibiotics for 2 years to treat chronic Lyme disease, you would, too). So I know healing my gut from the antibiotic-induced damage is going to be the key to alleviating those issues. Toward the end of this experiment, I noticed less cramping and I downgraded from bolt to brisk walk—so either this stuff is helping my gut heal, or it's a very happy coincidence. Normally during winter, sporadic dry patches of skin will pop up on my face even if I moisturize. But those were greatly diminished and my skin felt more supple and squishy—in a good way. Unfortunately, I didn't notice any improvement in the increasingly obvious (and depressing) fine lines around my eyes.